Are you a heavy snorer? Or is your partner invading your sleep and making you uncomfortable by snoring and snorting loudly? Worry no more, because an old Chinese medicine technique is here to help your needs of a good night’s sleep. Michael Carter-Smith, an ex-saxophonist from the 1960s band Amen Corner, has invented an amazing ring, which reduces snoring. The invention is called Good Night ring and it’s worn on the little finger. 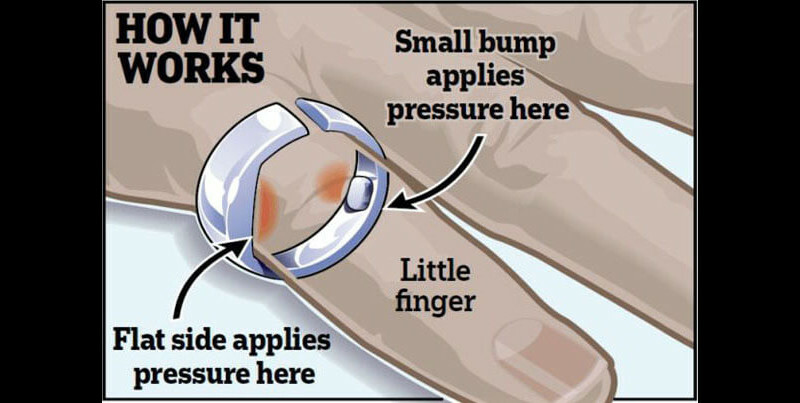 The ring has a small bump on the inside, which is implying pressure on the inside of your little finger. The old Chinese medicine technique, called acupressure or acupuncture, inspired Carter-Smith’s ring. By applying pressure to various spots certain areas of your body are being affected. In Carter-Smith’s case the pressure on the little finger seems to decrease snoring. The ring has been tested by a group of heavy snorers. 85% of them were affected after wearing the ring on their little finger and they admitted the ring was useless when it was worn on their index finger. The ring costs $49 and it comes in three sizes – small, medium and large.